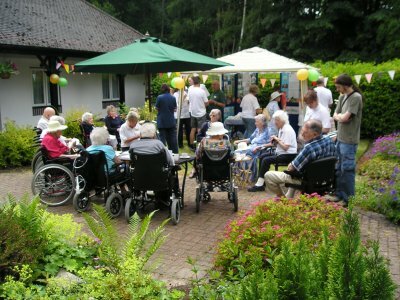 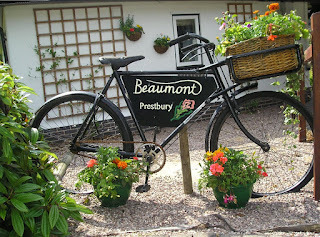 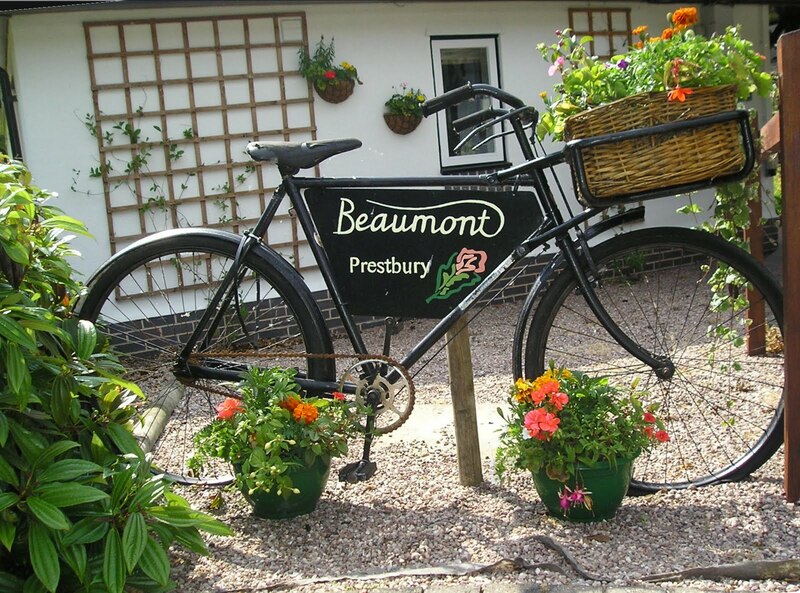 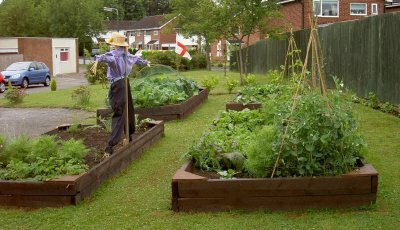 The residents of Prestbury Beaumont were introduced to the project that has kept Food4Macc volunteers busy since the autumn of 2009. 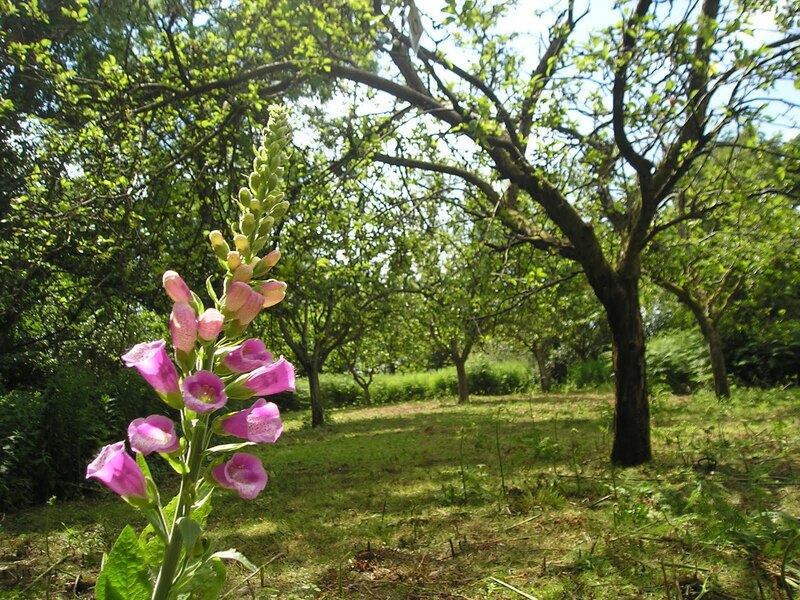 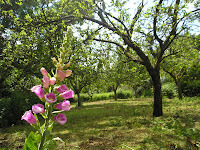 The transformation of the orchard was particularly impressive. Food4Macc's contribution to Macclesfield's revived Barnaby festival was a bunch of carrots a pumpkin and a scarecrow marching in Saturday's parade. 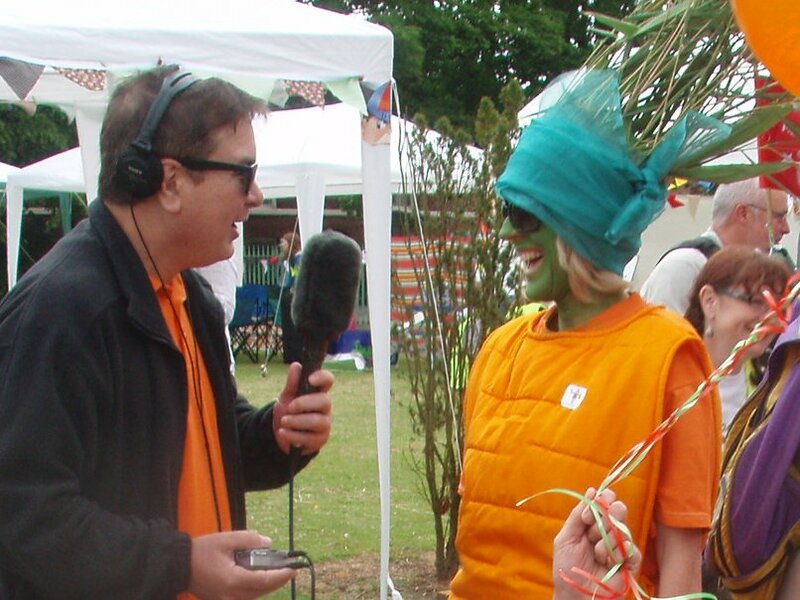 The marchers certainly created some interest and attracted interviews by two local radio stations. 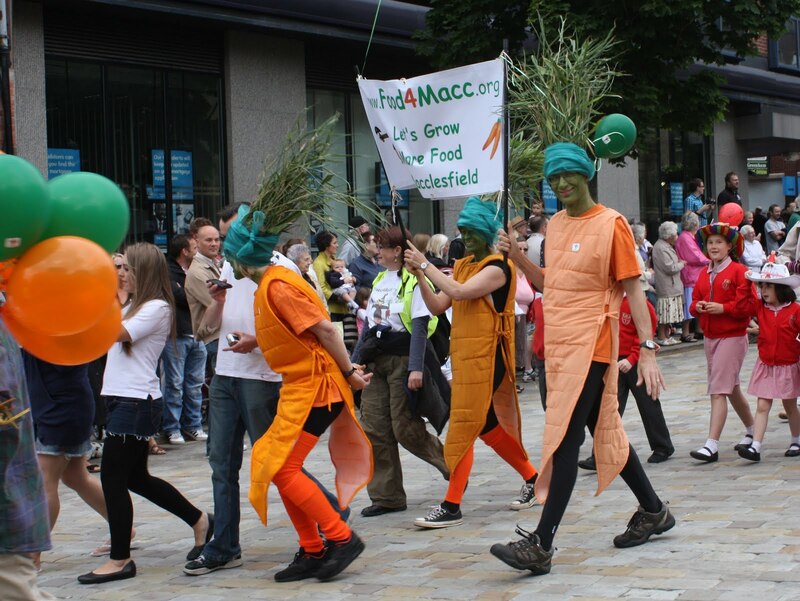 Costumes were the result of inspiration and a lot of hard work by Nicola Gower and Sally Lambert. 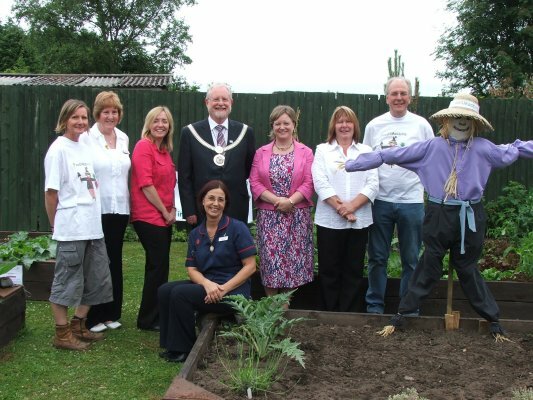 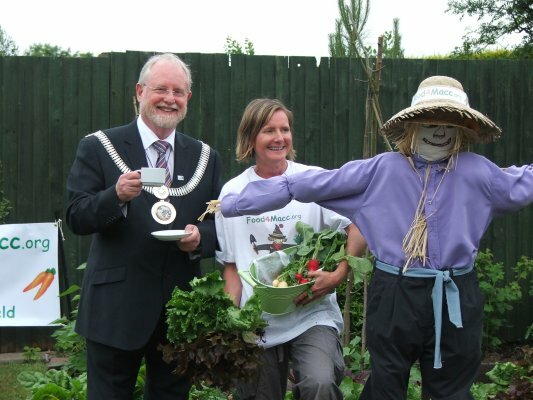 On Friday, Deputy Mayor of Cheshire East Council, councillor Roger West, visted the Food4Macc community garden at the Rowans Nursing Home, Merriden Road, Macclesfield as part of the celebrations of the official opening of a new extension to the home. 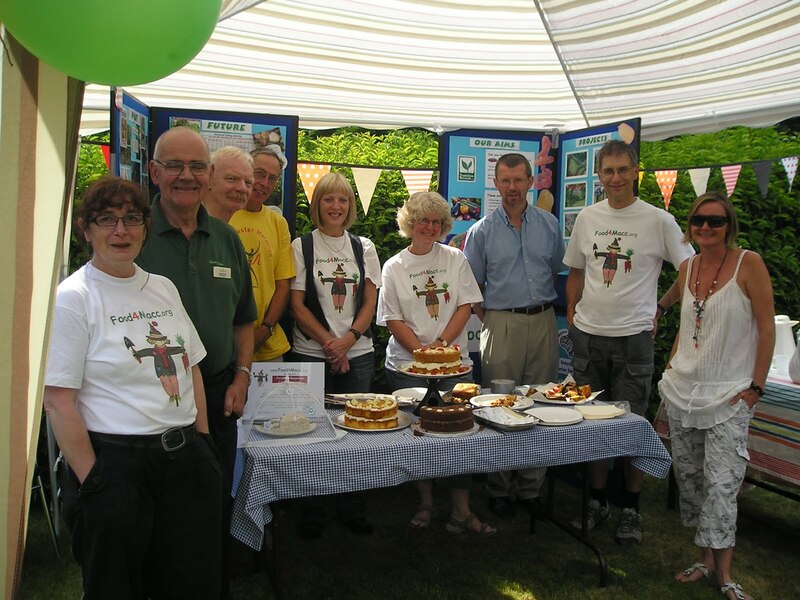 A suggestion by Gillian Pierce led us to apply for funding to the William Dean Trust. 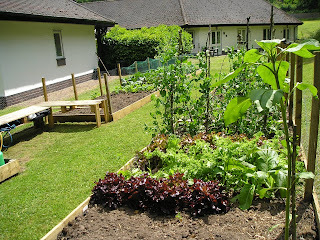 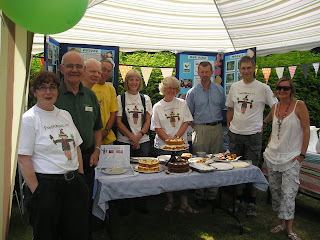 We learned earlier this week that trustees have generously awarded us a grant of £500.